With Raymond James Stadium in Tampa just about an hour and a half away, a lot of our residents consider the Bucs their adoptive NFL team. After posting a 9-7 record last season and just missing the playoffs, the Tampa Bay Buccaneers reloaded with some impressive talent on the offensive side of the ball over the offseason, and are looking like they will be one of the more exciting teams in the explosive NFC south this year. That new level of excitement is likely what attracted the producers at HBO to choose the Bucs to be the featured team on this year's edition of their Hard Knocks show, which began airing on August 8. The show will provide all of us with an inside look at this year's team, but first let's take a look at some of the key things they did to improve this offseason. Everything in the Buccaneers offense revolves around the playmaking ability of quarterback Jameis Winston. Last year, we saw both sides of that coin with Winston accounting for some unbelievable highlight reel plays, as well as more than a few ugly interceptions. There is no reason not to expect Winston to take another dramatic step forward this year and hopefully establish himself on the level of the other quarterbacks in his division, which just happens to be three pro bowlers in Matt Ryan, Cam Newton, and Drew Brees. Jameis found his groove with wide receiver Mike Evans last season, and that led to Evans being the most targeted wideout in the entire league. That trend was likely to continue no matter what, but the Buccaneers should be able to scheme more opportunities for Evans after adding free agent wide receiver DeSean Jackson to start opposite him. This will give Winston two dynamic big play receivers and should lead to one of the best offenses the fans in Tampa have ever seen. 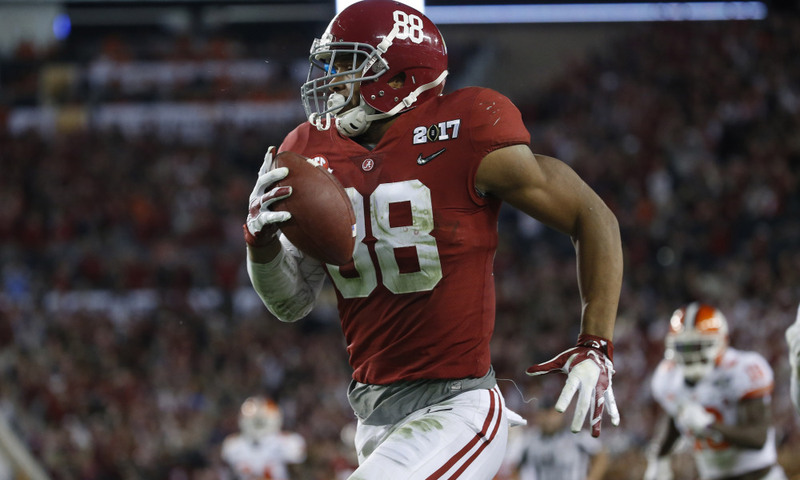 In order to improve the passing game even further, the Bucs spent their first-round pick on tight end O.J. Howard out of Alabama. While receiving tight end Cameron Brate is still going to be around for red zone packages, Howard is more of a dual threat player that can catch the ball, and should also be able to open up some holes for running back Doug Martin when he returns after the three games remaining on his suspension. With the Buccaneers focusing most of their offseason efforts on upgrading their offensive weapons, they did very little to improve what was a middle of the road defense last season. Two improvements that they did make were signing defensive lineman Chris Baker from the Redskins and safety J.J. Wilcox from the Cowboys. Those moves should add some depth, but any real improvement in this defensive unit is going to have to come from young stars like linebacker Kwon Alexander and cornerback Vernon Hargreaves taking big steps forward. 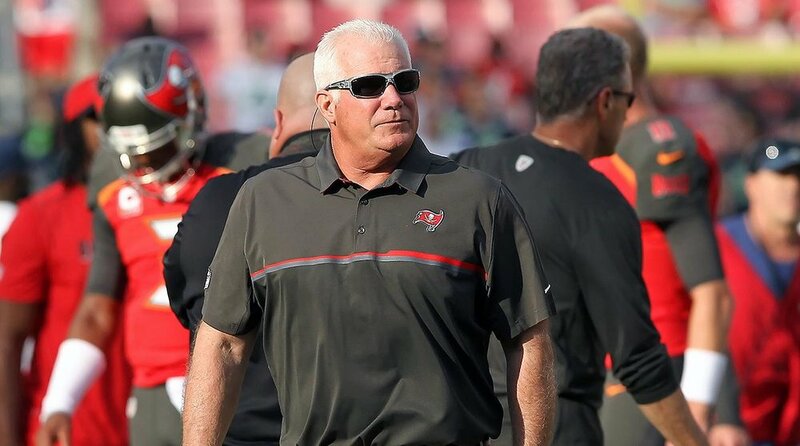 While they didn't make many moves on the defensive side of the ball this offseason, perhaps the most significant move was defensive coordinator Mike Smith's decision to return and sign an extension instead of taking a head coaching job elsewhere. Coach Smith has a proven track record of getting the most out of his players, and he should have no problem shaping this defense into a formidable unit by the end of the season. Following their first preseason game, the Bucs officially cut ties with kicker and former second round pick Robert Aguayo. After struggling through most of his rookie year, Aguayo was not looking much better in his sophomore camp, and the front office decided that they would be more comfortable with veteran Nick Folk. In addition to playing in one of the toughest divisions in the NFL, the Tampa Bay Buccaneers are also staring down the barrel of a daunting non-division schedule that features matchups with the New England Patriots, Green Bay Packers, and New York Giants. If they are going to evolve into a playoff team this year, they are going to have to prove that they can score on some of the best defenses in the league while slowing down some of the best offenses. Fortunately, they appear to have just enough tools to do both!